It makes for a sensational headline but NASA didn’t even come close to discovering warp technology. The mechanism behind their fuel-free propulsion has no clear link to warping space-time. In fact, space-time is not proven or understood to exist as a material substance able to warp. It’s all nonsense. So what really happened? You should have been suspicious when the story made the rounds on social media. The headlines were claiming NASA successfully tested something called the EM Drive. The EM drive is awesome, and it’s real science. It’s a propulsion engine doesn’t use propellant, which seems to violate the laws of physics by creating a reaction with no initial action. First, let’s examine the actual finding. NASA has developed a hollow device that can be pumped full of electromagnetic radiation which reflects back-and-forth, tapped inside the chamber, generates thrust, causing the device to accelerate in a direction based onthe shape of the chamber. You might ahve seen the story or similar reports over the last year because iterations of it have been built by Roger Shawyer (the EM Drive), one from a Chinese group led by Juan Yang, and one from Guido Fetta (the Cannae Drive), all claiming successful thrust. The stories on science news sites claim the acceleration created is caused by warped space of an Alcubierre Drive, the completely fictional “Star Trek” design. Here are some problems. First off, none of the tests showed results from gadations in power. If this is a viable prototype for an engine, the science behind it hasn’t proven why a tiny acceleration in relation to a huge amount of relative power is worth any sort of real consideration for space travel. It’s a weak engine with no sign of how it can be scaled. Secondly, the thrust they created is so small it might just be a mistake in mathematics or caused by an unknown factor, unrelated to warp tech. A true test requires an isolated environment, with atmospheric, gravitational and electromagnetic effects removed from the equation. Thirdly, good science is reproducible. These tests lack a transparent design so no one else can verify that this actually works. Finally, a real report has to be created that can be peer-reviewed and understood before irresponsibly publishing the claims. Optimism of this sort, claiming to be able to put people on mars with a warp engine, is not scientifically valid. This latest group declared they have broken the previously-held laws of physics. They assume we can scale up and implement this engine for space propulsion just because of some questionably positive results. They claim to be distorting space, they claim they might be causing light to go faster by approximately 10^-18 m/s. They made these claims without actually proving them, and told the general public, spreading misinfo. Harold “Sonny” White at NASA, has made extraordinary claims about warp drive in the past. He is totally the kind of guy who would jump to warp drive as a conclusion. 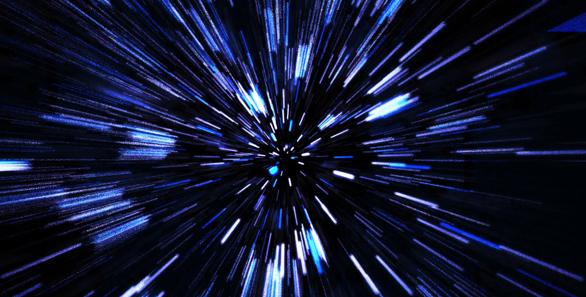 There is nothing in NASA’s report that shows they’ve created a warp drive. Sorry, Star Trek and Star Wars fans. Most likely this is a public relations move to get America and the world science communities more excited about space travel and science education.